Jeffrey Welch's Blog: What Are Dog Dewclaws For, Anyway? What Are Dog Dewclaws For, Anyway? Do dogs have thumbs? In the ongoing, slow-burning processes of evolution, parts of bodies adapt, change, or get left behind. Some of these bits and bobs get caught in limbo as vestigial structures — they’re still there, but they no longer serve a purpose. Think of your coccyx, or tailbone, or perhaps your appendix. The former illustrates that in an older configuration, people used to have tails, and the latter once served a digestive function. As it turns out, dogs do have thumbs, but they, too, have been relegated to the bargain bin of utility. Dog dewclaws, historically spelled “dew claws” or “dew-claws,” are largely atavistic appendages, which dogs retain to this day. Dog facts: What are dog dewclaws? Up close and personal with dog dewclaws. Every domestic dog paw has four primary toes. Every domestic dog also has a fifth digit on the front paws, occupying the same general position as the thumb on the human hand. This is why they’re often referred to as a dog’s thumbs. This fifth digit is the dog dewclaw. You may notice when walking or playing with your dog that the front paw’s dewclaws don’t actually touch the earth when he walks, so what purpose does the dewclaw serve? What do dog dewclaws do? A dog’s front dewclaw has several functions, minor though they may be, including balance and stability when dogs are in movement over uneven terrain or making landfall after swimming. The front dewclaw gives a dog some assistance and control in the normal course of grooming, particularly when dogs are cleaning their heads and faces. You may even notice your dog making good use of it when she’s gnawing with satisfaction upon her favorite chew toy. 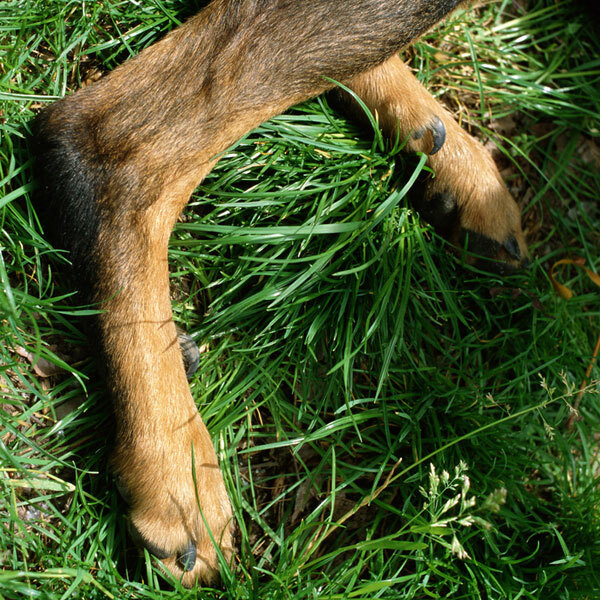 Dog dewclaws sometimes appear on a pup’s hind legs. When we talk about dog dewclaws, though, most people are probably thinking about the floppy, useless thing with a little claw on a dog’s back leg. You can see the intermediate work of evolution in motion with the hind dewclaws. All dogs have dewclaws in the front, but most hind dewclaws are merely genetic anomalies. Where the front declaws are connected by bone and ligament to a dog’s forepaws and have limited, but distinct functionality, the hind leg dewclaws do nothing at all. Hind dewclaws, when they are present, tend to appear at a distance from the rear paw. These dewclaws are attached by nothing more than a small flap of skin, with no other attachment to the leg, either by ligament or bone. Dogs sometimes have double dewclaws. Rare as they are, there are dog breeds that are commonly born with functional double dewclaws on both hind legs! In fact, there are a few dog breeds for whom the double dewclaw is not only present, but a breed standard requirement. For American Kennel Club conformation shows, members of the Beauceron, Briard and Great Pyrenees breeds are required to present with double dewclaws intact. There are other dog breeds that are occasional hosts to double dewclaws. These include Anatolian Shepherds, Australian Shepherds, Estrela Mountain Dogs, Icelandic Sheepdogs, Norwegian Lundehunds and Spanish Mastiffs. What is the common ground? You’ll notice that these are all large or giant dog breeds, and all working dogs who utilize the functional double dewclaw for stability in rough terrain. Like the tailbone and appendix in humans, we tend to notice dog dewclaws, fore or hind, only when they’re injured. 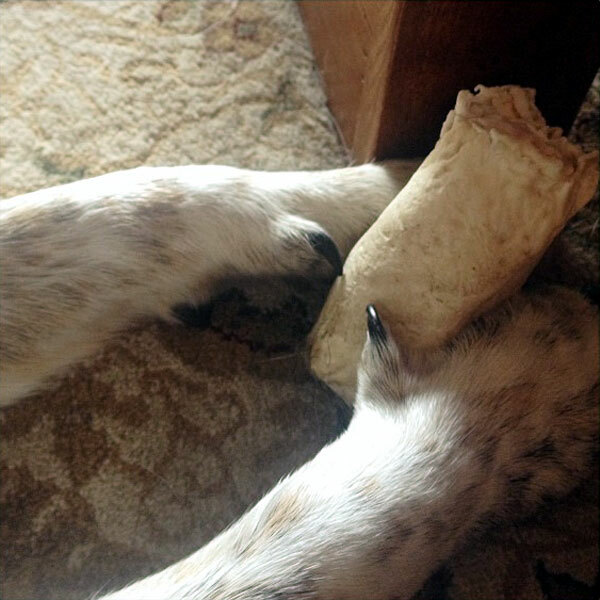 Hind dewclaws, having no real substantive connection to the body in most dogs, have a disturbing propensity to get caught on things. This leads to torn or ripped dewclaws and no small amount of bloodshed when accidents happen. Some dog owners choose a surgical option. Having the hind dewclaws removed early in a puppy’s life eliminates the risk of freak injury later on. 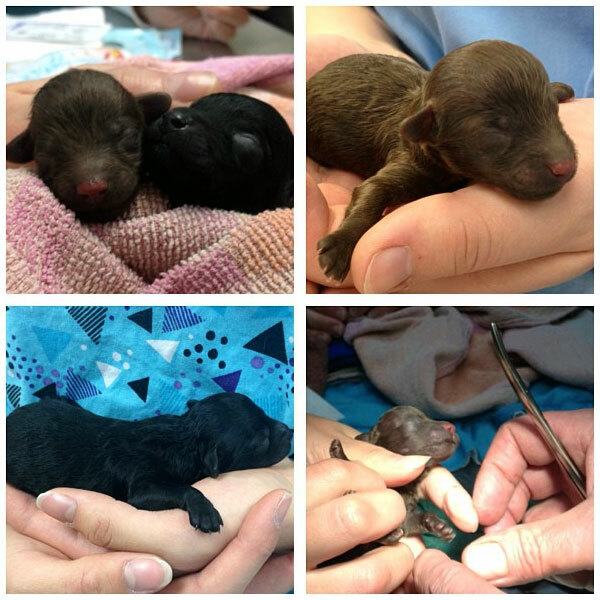 Hind dewclaw removal is typical, though neither universal nor medically necessary, for those those with newborn baby puppies. During a puppy’s first visit to the veterinarian, dewclaw removal surgery may be performed. At that very early stage, pain is minimized and recovery times are faster, making early-life surgery for hind dewclaws preferable to higher-cost, more painful surgeries due to injury as adult dogs. Just as the breed standards for some dogs mandate the presence of the rear dewclaws, others insist upon their removal. One example is the Bouvier des Flandres, also known as the Cowherd of Flanders or Flemish Cattle Dog. The AKC breed standard clearly states that in cases where a Bouvier des Flandres is “born with dewclaws, they are to be removed.” These regulations, of course, apply only to those dogs that will be entered in conformation shows. 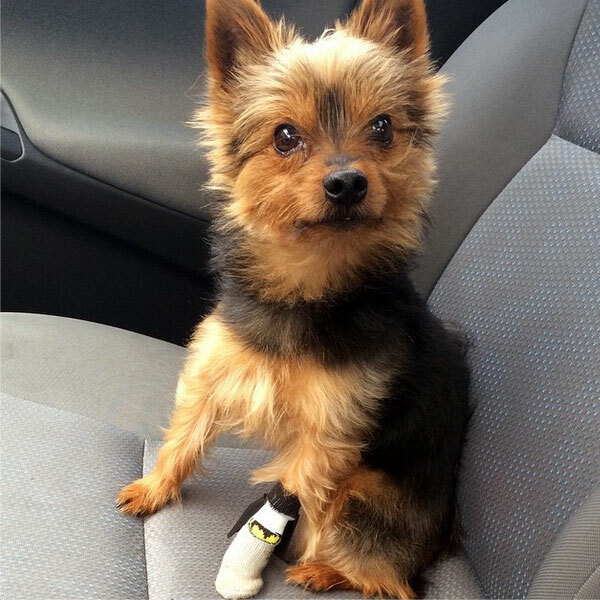 A dog after a dewclaw surgery. Surgical removal of dewclaws within a few days of birth, then, is largely either an aesthetic choice or a preventative one. Two of the dogs I’ve owned in my lifetime have had hind dewclaws, and both lived long, full, incident-free lives with those adorably floppy little digits. Dogs who do sustain dewclaw injuries, even to the forepaw, and have the surgery out of necessity recover perfectly well. Take this Yorkshire Terrier, for instance. Calling a dewclaw a dog’s thumb is not entirely accurate, because it is not as mobile or functional as our opposable thumbs, with a few notable instances among larger dog breeds. I found a delightful video online showing just how useful the front dewclaws can be when you take dogs ice fishing. 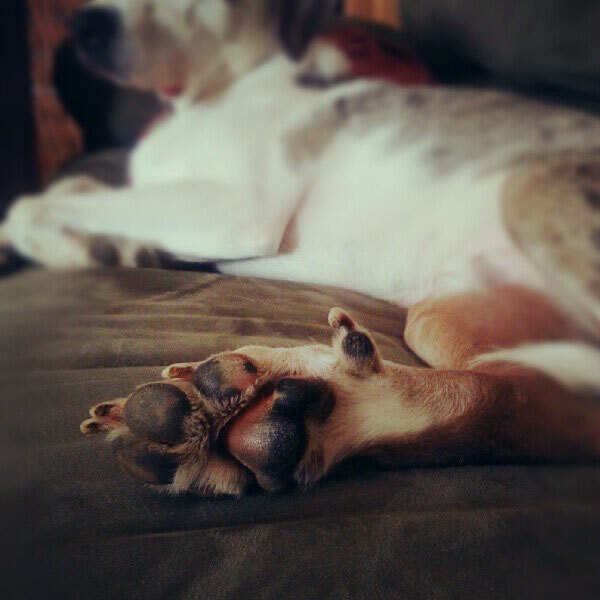 Does your dog have hind dewclaws? Are there any double dewclaw readers out there? 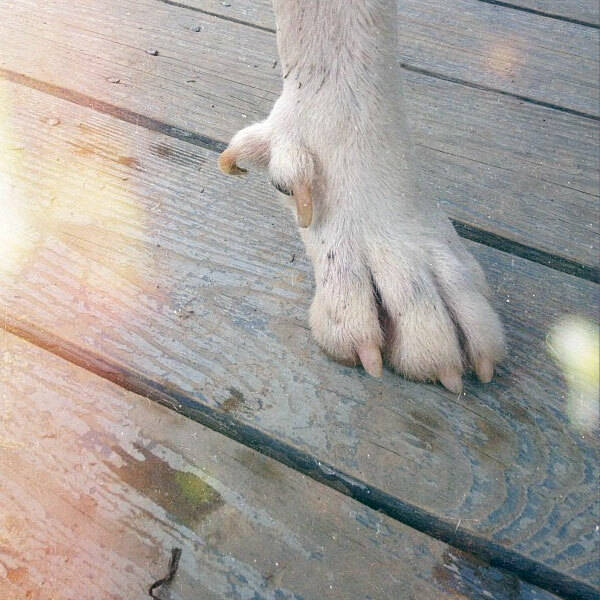 We’d love to see your photos and hear your dewclaw stories in the comments! The post What Are Dog Dewclaws For, Anyway? appeared first on Dogster.